Albany High pitcher Brittney Turner winds up to throw a pitch. French Settlement's Blair Henderson drives a pitch. Albany High left fielder Maddie Oubre hits a pitch. French Settlement High catcher Carmella Tranchina makes a throw into the infield. Albany High's centerfielder Heather Degenhardt makes contact with a pitch. French Settlement pitcher Brittany Melton begins her wind up. 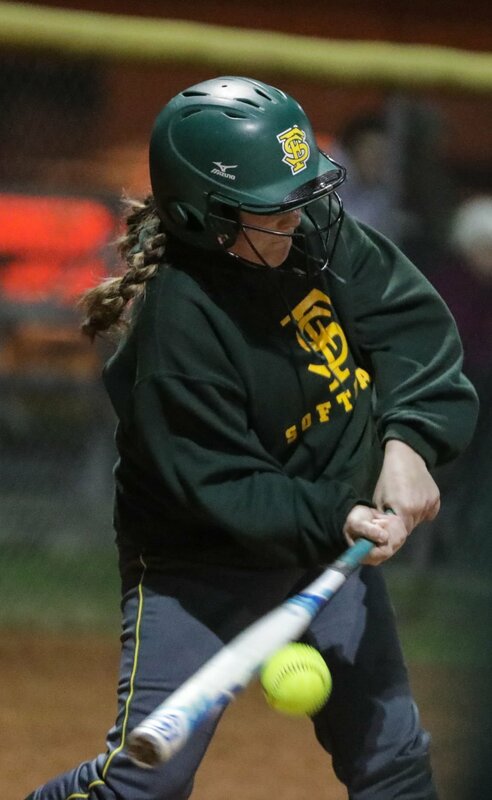 French Settlement High's Emma Petite starts to swing at a pitch. Albany High third baseman Abbie Spring follows through on a swing. French Settlement High shortstop Payton Clouatre prepares to catch a ball to tag out an Albany High runner. Albany High second baseman Madison Knight drives in a run with a hit. French Settlement coach Blake West talks to his players between innings. Albany High pitcher Brittney Turner (16) crosses home plate to score.